11 Garraline Terrace is a period mid terrace 2 bedroom property offering wonderful south easterly views over the Kingussie to the Cairngorm Mountains beyond. 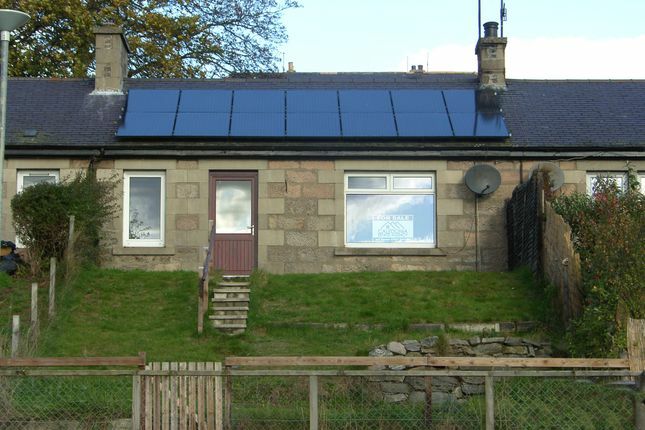 Benefits include 14 Photovoltaic solar panels which generate an income by feeding into the electricity grid helping to offer low running costs, a modern fitted kitchen with space for dining, spacious lounge with a picture window optimizing those wonderful views, double glazing, economy electric heating, off street car parking, slopping garden to the front and access from an enclosed pathway to the rear. The home report mentions a possible leak and dampness in the bathroom and that has been identified as a leaky pipe and rectified by a qualified plumber. The dilapidated shed in the garden has been removed. This is a government funded scheme. Income is derived from the electricity produced by solar panels which feed into the grid. The income normally increases annually and is monitored against the retail price index (rpi). The solar panels also supply some free electricity. The current owners have bought the panels outright so there are no payments to be made. Figures can be given at time of viewing. 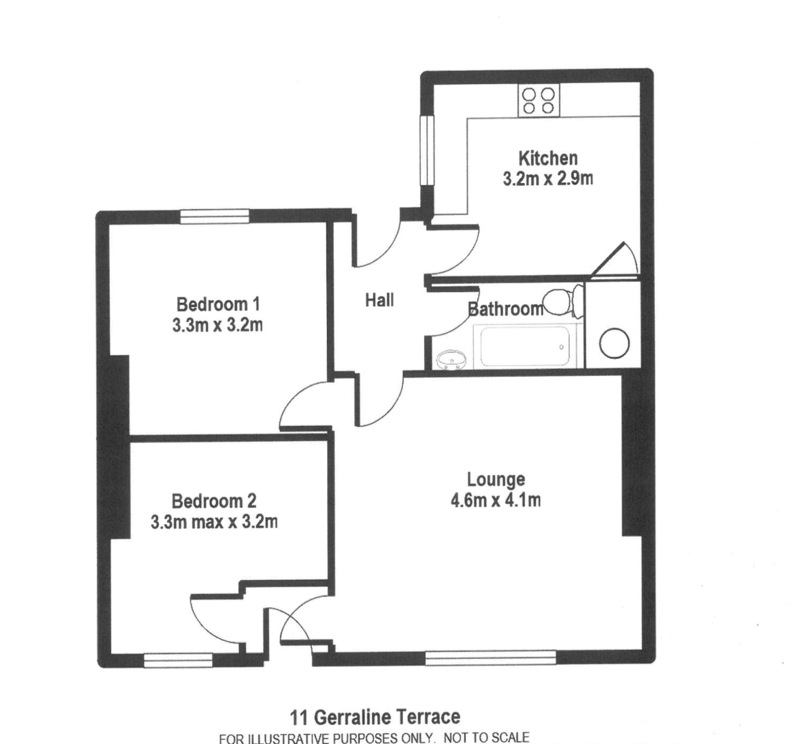 The property would make an ideal residential home or investment property. The front garden is enclosed with pedestrian gate which leads to the communal car park. The garden is sloped with steps leading to the front entrance. Mainly lawned. Rotary clothes dryer. The rear entrance of the property is accessed by a short pathway with steps leading down from the road and gated. Fitted carpets, window blinds and light fittings all where fitted. Other integral items stated within the schedule. Mains electricity, water and drainage, telephone. Sky TV dish. EPC rating: C (which is an above average energy rating band and therefore lower utility bills). Security entrance door with glazed opens into the vestibule. Smoke detector. Pendant light. Doors to lounge and 2nd bedroom. Fitted carpet. Doors to lounge & bedroom 2. Spacious lounge with a picture window offering wonderful views over the village to the Cairngorm Mountains beyond. Satellite cable, TV & telephone points. Pendant light. Storage heater. Fitted carpet. Doors to front vestibule, main bedroom and rear hall. Short hall with low level storage cupboard containing electrical trip switches. Hatch to storage loft. Smoke detector. Pendant light. Ceramic floor tiles. Access to lounge, kitchen & bathroom. Exterior door with opaque glazed panel opening to the rear. Modern fitted kitchen with base and wall units incorporating worktops and fitted stainless steel sink with mixer tap. Space for cooker with extractor above. Plumbed for washing machine. Space for fridge freezer. Wall tiling over worktops. Built-in deep storage cupboard (1.45 x 0.74m)which currently holds the hot water tank. Wall mounted hot water boost control panel. Pine lined ceiling with florescent light. Storage heater. Ceramic floor tiles. Space for table and chairs for informal dining. Window overlooking the rear pathway. Three piece suite comprising WC, wall mounted wash basin and bath with electric shower over with side screen. Waterproof panelling around suite. Wall tiling on two walls and wood panelling to dado height. Bathroom cabinet with mirror door. Extractor fan. Ceiling light. Ceramic floor tiles. High level Velux style window. Spacious room with window to the rear. Pendant light. Panel heater. Fitted carpet. Door to lounge. 'L' shaped single room with window to the front offering those views. Pendant light. Panel heater. Fitted carpet.